relaxing area at swimming pool. Bedroom in Bandit One bedroom Apartment. Sleeps 2 and 2 extra couch beds. Kenyaways Diani Beach, Galu side was created in July 2008 by Linzi Kennaway who grew up on this Kenya South coast paradise. 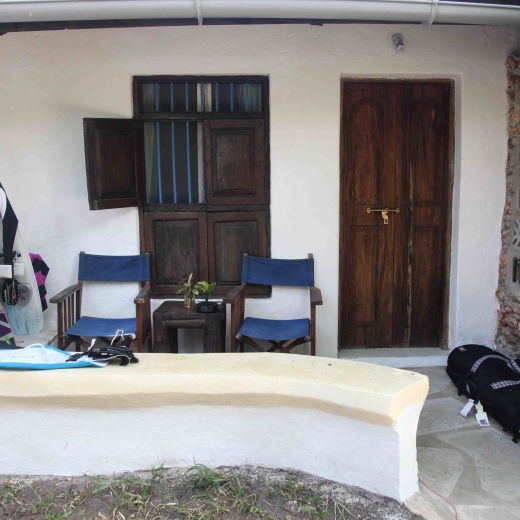 A keen watersports fanatic since birth, and after a 4 year career as a kite instructor in Diani Kenya, she decided that Diani beach, Galu needed somewhere for fellow passionate kite surfers travelling to Kenya to stay and enjoy the Kenya tropical beach life. She converted the old family beach house into a B&B guesthouse with a bar and restaurant and kite school known as the kite village. Linzi’s father, Kenyan bred Tony Kennaway bought the property in 1959 when Lions roamed the beaches and the forest was home to herds of Elephants and other wild animals. Tony started and operated Diani’s first diving business here at Kenyaways Kite village as well as his famous parasailing business behind a land rover on the beach. Galu Beach is located on the South side of Diani which is on the South coast of Mombasa on Kenya’s equatorial coast. Unlike the rest of the coast Diani has a very tropical vibe with pristine clear lagoons, which surpass even the famous beaches of Zanzibar. 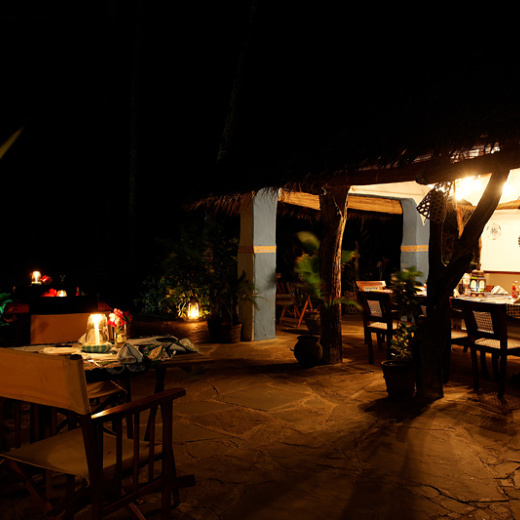 The Kenyaways Beach Hotel Diani is a family run affair. The kiteboarding lessons and facility is taken care of by h2O Extreme, Kenya’s leading kite school, responsible for teaching Linzi her first kite surfing lessons all those years ago. Along with the family we have a wonderful team of fantastic staff who will very much make your stay feel like you are in your very own home away from home. The services were poor, the room not clean - initially we had requested for Torch which was not available and instead got checked into a pool view room. Would have been nice to pay for the hotel organized transportation together with all other payments - upon checkout instead of prior. We didn't like the experience at all and checked into another hotel after a few hours. Fantastic! It was better than what I saw online. The location is great. It's perfect for if you want to just chill-out and be away from it all. Nothing I can fault. The breakfast and food can be improved!